QUILT is my solo CD recording. The disc is a blend of acoustic and electronic pieces. Four of my own electronic percussion works: Quilt, Slide City, Beijing, and Slow Burn share the stage with John Phathas' Matre's Dance with pianist, Tomoko Uchino; Brett William Dietz' multiple-percussion composition, Rechargeable Light; David Hollinden's Surface Tension with percussionist, Todd Hammes; and Richard McCandless' work for multiple-percussion and track, Voyager. The CD was recorded at the University of Arizona Fred Fox School of Music's Recording Studio with Wiley Ross and myself producing. Making this recording was a fantastic experience. Please give it a listen, and I hope you listening to it as much as we enjoyed making it! envisioned it my head. Thank you for this gift! I love your electronic works. Also - your interp of Matre's Dance is awesome!!! 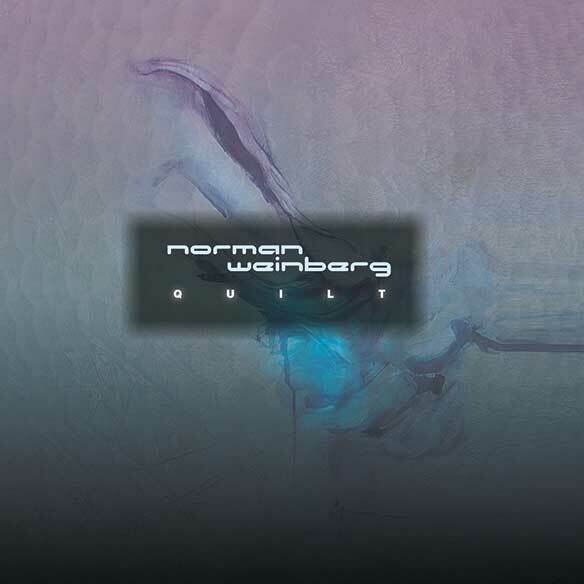 It's rare that a composer has a recording of one of his works that conveys his vision of that work, and this is what Norman Weinberg has done with Voyager. His interpretation and performance are precisely what I intended. I consider his recording to be the definitive performance.